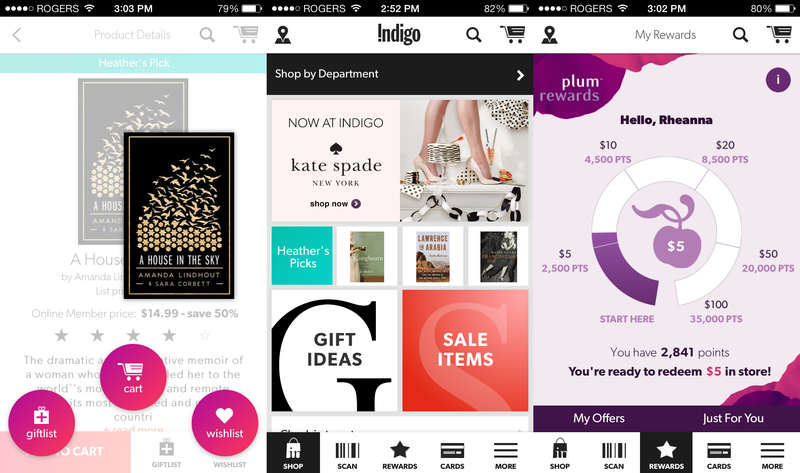 Canadian retail bookstore chain Indigo today announced it has finally accepted the mobile app craze and has released its own shopping experience for Android and iOS. You can download the app now directly from Google Play and Apple’s App Store. The iPhone and iPod touch app comes with Passbook support, but both improve the Indigo shopping experience with purchasing at home, on the go, and in-store. The first two are self-explanatory but the last one deserves a bit of an explanation: the app lets you scan the barcode of any product in store, buy it directly from the app, and have it shipped conveniently to your home or to a gift recipient. The barcode scanning feature isn’t just for purchases. It also lets you access further product information, ratings, reviews, and store availability. The app further lets you create wish and gift lists, as well as receive targeted offers, marketing communications, and personalized recommendations. You can also sign up for the Indigo rewards programs, or if you already have it, access your rewards account on the go. Last but certainly not surprising, Indigo app users can share their store location and the products they like on Facebook. Presumably, later versions will add Twitter and support for other social networks. It always boggles our mind when certain industries take so long to launch their own mobile app. This one has quite a few features, but even then we think Indigo would have been better off launching a basic app for both platforms and then expanding it with additional options. Still, better late than never.